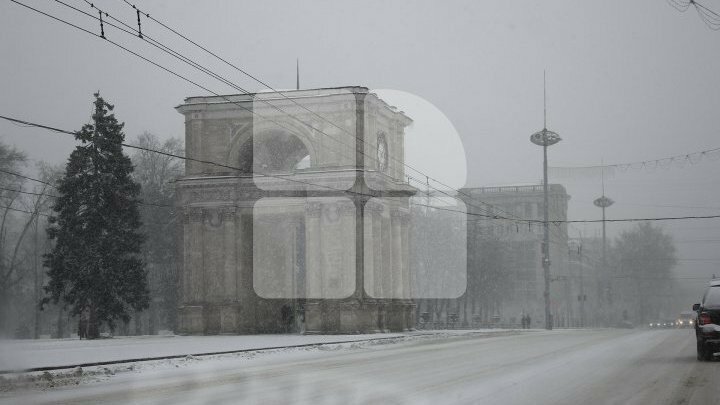 In the context of the snowfall and the heavy rain, the Ministry of Economy and Infrastructure warns the passers-by and the drivers to be careful and obey all the driving rules. The road workers already started to spread non-skid material. Starting 7 AM to 5 PM, 38 winter service vehicles have been trained to spread 212 tones of non-skid material. All the national roads are accessible by this time. Difficulties have been registered on România – Leușeni – Chișinău – Dubăsari –border with Ukraine,50-56 kilometers, near Stejareni village. The drivers are urged to drive on a low speed and to keep the distance between the cars. Also, they should avoid parking near trees.